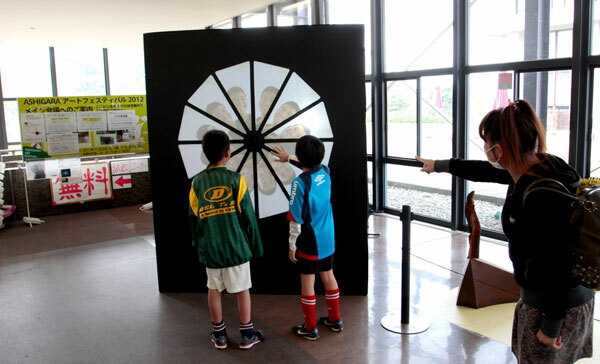 An interactive video installation for the Ashigara Art Festival in Japan that allows viewers to create mesmerizing visual patterns using video delay. 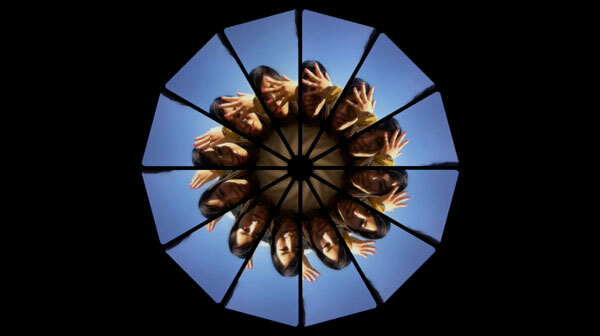 Kaleidoclock uses a circular screen that is divided into segments, similar to the face of a clock. The segments are showing footage of a camera facing the viewer. However, only one of them is in real time, and each successive segment has a time delay to the previous one. This setup lets the viewers playfully create infinite styles of visuals through combining—in one image—their present and their recent past. 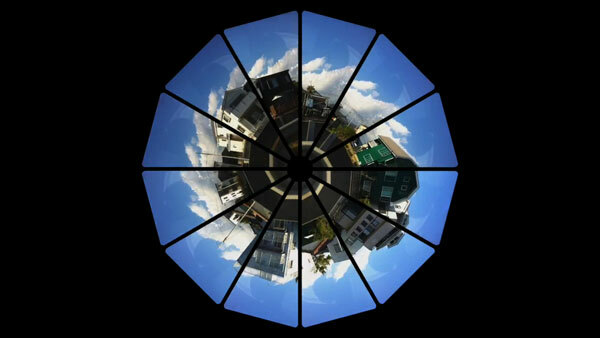 Kaleidoclock is also available as an application for iPhone and iPad. Go to kaleidoclock.com to purchase the app.